We love Snow Cones, our customers love Snow Cones and our operators love Snow Cones…. With more mentions of the word ‘Wannabee than that annoyingly catchy Spice Girls single we’ve put together a little piece about what exactly separates Snow Cones from the rest. Taste better: Our Snow Cones taste truly amazing from start to finish, not too sweet with a nice refreshing tangy kick, Made using only the finest ingredients we pack flavour and freshness into our syrups, always guaranteeing that it tastes just as good from the first taste to the very last drop. Each flavour has been carefully selected, all with a unique pungent taste which when combined with other flavours create mouthwatering tantalizingly tasty refreshments every time. We have found the wannabees’ brand flavours are often weak, tasteless and only last until half way through then you’re just eating plain ice, also flavours aren’t differentiated between one another. Look better: One thing we pride ourselves on is making sure all our products not only taste fantastic but also look fantastic,and this is certainly the case with Snow Cones. Served in traditional fully branded wax paper cones featuring our Snow Cones mascot ‘Snowy the Bear’. This instantly draws the eye and makes Snow Cones stand out from the wannabee’s using plain cheap cones. 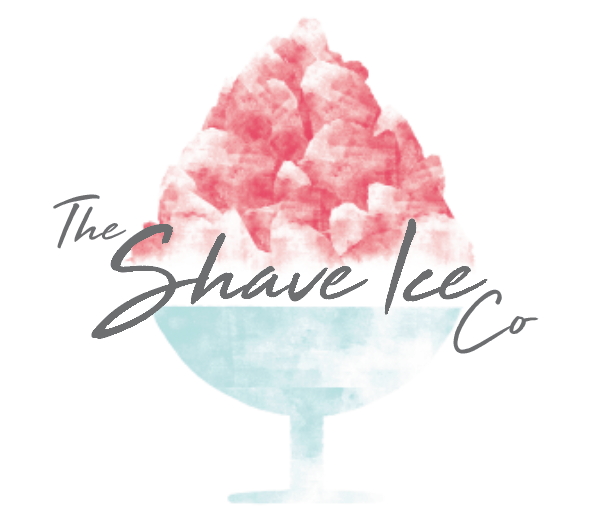 Using the best equipment and best Shave Ice machine, the ice produced is soft fluffy and moulded into a nice smooth large product, wannabee brands who opt for cheaper copy machines which crush ice tend to produce products that are crunchy and therefore do not absorb syrups properly. All our syrups are tried and tested using only the finest ingredients, it’s true what they say ‘you eat with your eyes first’ and Shave Ice Snow Cones really do look tasty, colourful, refreshing and enticing, wannabee’s will cut corners ultimately resulting in inferior syrups which look dull and run through the product quickly leaving the consumer with just white ice left. Not Cool! Marketing: How can you sell Snow Cones if your customers don’t know you sell them? in short….you can’t. That’s why we pride ourselves on professionally designed and printed point of sale, point of purchase and marketing materials, fit for purpose and all locations, our outdoor banners are thick, durable and waterproof and use eco sol (sunlight resistant) inks. Wannabee’s if anything at all will use cheap inks, worn and torn faded banners, which results in marketing looking old tired and washed up. All our logos and artworks are professionally designed, forever evolving and all feature our very popular child friendly mascot ‘Snowy the Bear’ who’s definitely an eye catching fella. All designs are done with target audience in mind and are constantly refreshed for each season and holiday event. Authenticity: From the outset we decided that we wanted to keep our brand of Snow Cones as authentic and traditional as possible, why change a winning formula? And it’s certainly been a winning formula across the USA for generations, Snow Cones are as American as Twinkys, Candy Floss, Corn dogs and dodgy presidential candidates. We use authentic American syrups and only produce them using the markets best quality equipment. Wannabees’ will cut corners using Slush syrups repackaged as Snow Cones syrups or using ice crushers instead of Ice Shavers and there’s nothing authentic about any of that. Price point: After reading all that you probably think ‘bloody hell i bet they cost a packet’. This is definitely not the case, we believe we are selling top quality products at top quality competitive prices which are both reasonable and fair. We place huge importance on this as the markets we are aiming for deserve good value for money and a happy market equals brilliant rates of repeat custom, you do the math! Everybody should be able to afford a Snow Cone! Wannabes’ will try charge too much too soon and whilst initially may make slightly more profit, with this short termism they are shooting themselves in the foot as people won’t come back meaning repeat custom is low, ultimately meaning longevity of business is weak. Separate yourself from the Wannabee’s and start selling Snow Cones today! PrevPreviousA unique history of shave ice part one.